Liu S, Zhang X, Wang Y, Li C, Han Z, Shao Y, Li H, Kong X. (2009). Shimazaki Y, Horiuchi T, Harada M, Tanimura C, Seki Y, Kuroda Y, Yagyu K, Nakamura S, Suzuki S. (2008). Worthington, K.J., Currie, R.J.W. & Jones, R.C. (2008). Bochkov YA, Tosi G, Massi P, Drygin VV. (2006). Phylogenetic analysis of partial S1 and N gene sequences of infectious bronchitis virus isolates from Italy revealed genetic diversity and recombination. Dolz, R., Pujois, J., Ordónnez, G., Porta, R. & Majó, N. (2006). Antigenic and molecular characterisation of isolates of the Italian 02 infectious bronchitis virus genotype. Tarpey I, Orbell SJ, Britton P, Casais R, Hodgson T, Lin F, Hogan E, Cavanagh D. (2006). 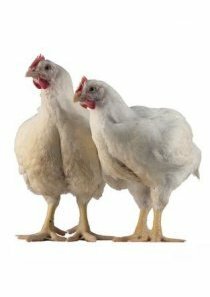 Safety and efficacy of an infectious bronchitis virus used for chicken embryo vaccination. Beato MS, De Battisti C, Terregino C, Drago A, Capua I, Ortali G. (2005). Evidence of circulation of a Chinese strain of infectious bronchitis virus (QXIBV) in Italy. The Veterinary Record 156:720 (2005). Jackwood MW, Hilt DA, Lee CW, Kwon HM, Callison SA, Moore KM, Moscoso H, Sellers H, Thayer S. (2005). Data from 11 years of molecular typing infectious bronchitis virus field isolates. The International Symposium on Infectious Bronchitis and Pneumovirus infections in poultry.